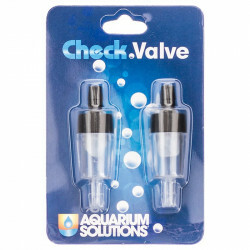 Welcome to the Pond Air Pumps & Accessories superstore! As a pond enthusiast, you know there are many elements that make up your system. In order to keep fish healthy and happy and your plants growing beautifully, they need clean, fresh water, light, oxygen, food and the right care and maintenance. 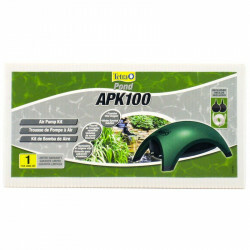 One of the items you'll need for your pond is a quality air pump. This is a key part of the total package. There are many uses for pond air pumps, including: running air-driven ozonizers, sponge filters and adding bubbles to an aquatic environment via an air stone. Our pond air pump store has everything you need to set up and maintain the perfect air pump system for your backyard pond or fountain. 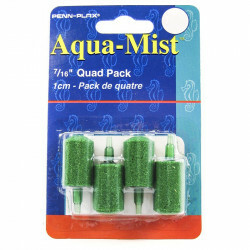 Pet Mountain's Pond Air Pumps & Accessories store features top quality products from the most trusted names in pond care and equipment, including Pondmaster, Penn-Plax, Tetra Pond, Hagen Elite, Hikari, and more. Our low price selection of Pond Air Pumps has the perfect pumps to handle a variety of water related applications for your pond. Air pumps help aerate your water and maintain a healthy living environment to ensure your aquatic life receives the proper oxygenation needed. If you're looking for a great deal, our Pond Air Stones are designed for your total ease of use. Our huge selection of adaptable air stones and bubble-makers features aerating units designed to suit any pond or fountain. Air stones and bubblers help to agitate the water and provide much needed oxygen to your pond. 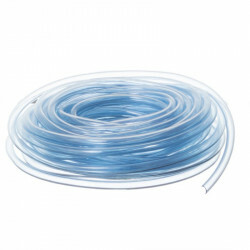 Our discounted Aquarium & Pond Airline Tubing and Airline Valves feature all of the replacement parts and connections you'll need to get your pond air pump up and running in no time at all. We want to make sure your pond is as easy as possible to maintain (so you can get down to the serious business of enjoying it), so we've made sure that you'll find all the parts you're looking for right here, and always at unbeatable prices.